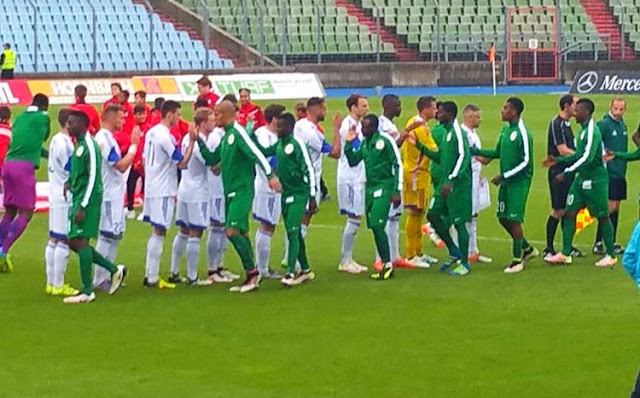 The Super Eagles of Nigeria won their second friendly match on Tuesday, when they beat 146th-ranked Luxembourg 3-1. In a match, which the three-time African champions totally dominated, they scored one goal in the first half and two in the second, but their play deserved more. Brown Ideye, making a return to the Eagles since 2013, scored in the first half from a rebound while Kelechi Iheanacho scored his second goal in two games when he had the easy task of tapping in from close range after good work from substitute, Moses Simon and Odion Ighalo scored the third deepinto added time. English Premier League referee, Martin Atkinson, refereed the match. 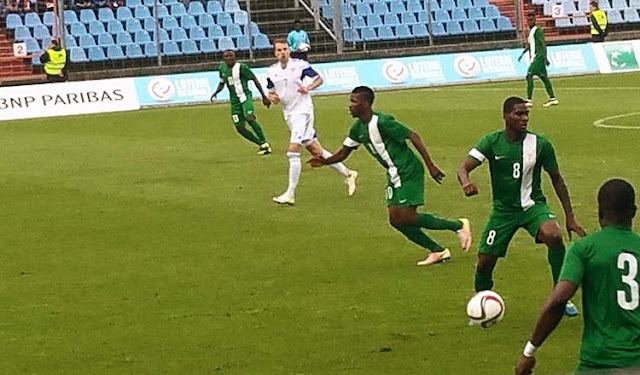 The Eagles should have scored as early as the 10th minutewhen Alex Iwobi found his way through into the box but he blasted over with the goal at his mercy.Two minutes later, Ismalinspor’s Aminu Umar, tried his luck with anoverhead kick that was blocked for a corner kick. But more of the game was played in the home side’s half and it was just a matterof time. On 16 minutes, Kelechi Iheanacho had his shot saved for a corner kick. Luxembourg got off their first shot but it did not trouble Daniel Akpeyi, in goal for the Eagles. On 27 minutes, it was Umar’s turn to have his tame shot saved. Finally, nine minutes to the end of the half, Umar does good work down the left flank and managed to stay bon his feet though he was fouled hard. He then turned another defender before laying on the ball for Ogenyi Onazi to strike on goal, which was parried and Ideye scored the rebound. It was the Olympiacos’ first goal for the Super Eagles since 2013. On the dot of half time, Iheanacho’s goal bound shot was again saved to help Luxembourg go into the interval just the one goal down. 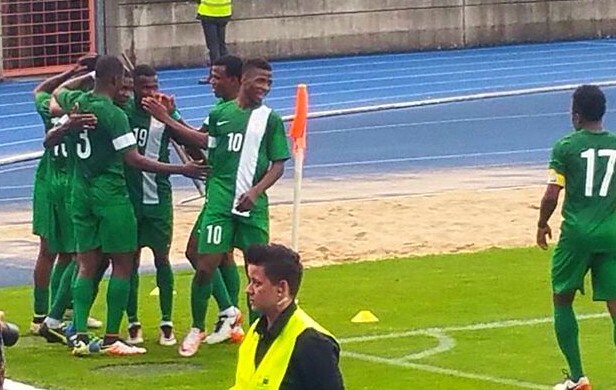 The second half was more of the same with Nigeria’s coach, Salisu Yusuf, making six changes. Moses Simon and Michael Babatunde came on for Aminu Umar and Iwobi in the 55th minute; Wilfred Ndidi and Raheem Lawal came on for Onazi and Abdullah Shehu in the 62nd minute. Mose and Babatunde added width to the Eagles’ play and the Gent winger made the second for Iheanacho in the 81st minute as the Eagles went two goals up.